Top entry type. The housing is made of heat resistant plastic to allow reflow soldering. Staggered surface mount tails. Low insertion force with staggered mating points design. 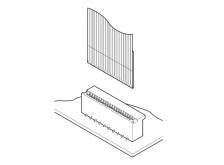 The lead pitch is thus 1.0mm (.039"), which enables connector mounting operation easier. 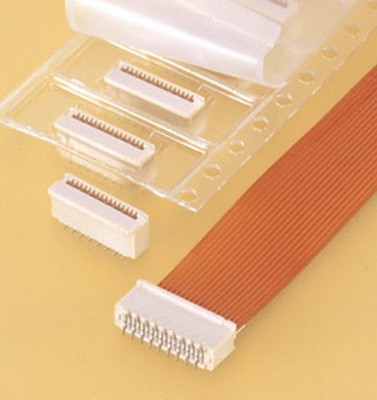 The FLT connector is packaged in embossed tape for automatic mounting. The plastic reel can be used repeatedly, good for eco-system. Staggered and unique contact point layout can reduce the FPC insertion force, yet with secure retention force. The connector measures only 4.15mm(.163") high after mounting, with a reduced surface mounting area, as solder tabs are not necessary because of the staggered solder tail construction.